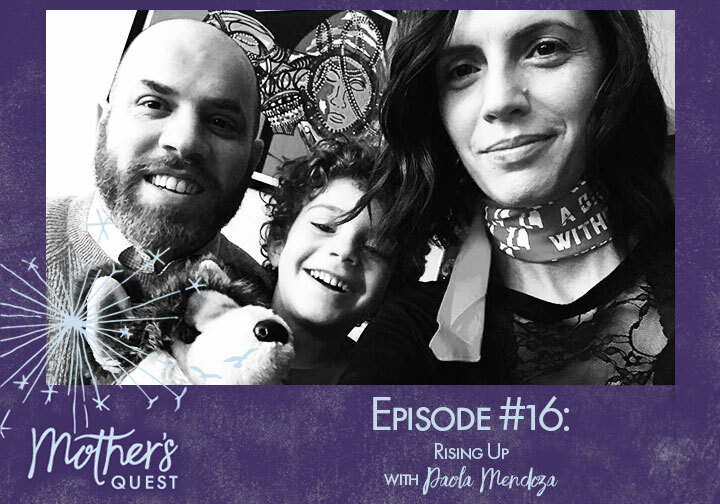 The value of putting yourself in someone else’s perspective, with compassion, is something that this week’s guest, filmmaker and activist Paola Mendoza, consciously creates through her storytelling. And, boldly moving forward through difficult times is something Paola talks passionately about– as she reflects on how she moved from feelings of failure after the election and rose up, channelling those emotions into a passionate co-creation of the Women’s March–what became the largest world-wide gathering in history. In addition to being a key organizer and the Artistic Director of the Women’s March on Washington, Paola is an acclaimed actress, director, screenwriter, and author. She was recently named one of Filmmaker Magazine 25 New Faces of Independent Film for her body of work which includes Refinery 29, BROKEN TAIL LIGHT, FREE LIKE THE BIRDS, and Z for ZENDAYA. She made her narrative directorial debut with the film she wrote, starred in and co-directed about her mother, Entre Nos, which had its world premiere at Tribeca Film Festival and was awarded Honorable Mention. Entre Nos told the deeply personal story of Paola, her brother, and her mother’s journey as immigrants to the United States from Colombia and the challenges they experienced. It went on to win over twenty awards at film festivals from around the world and ultimately became the novel, The Ones Who Don’t Stay. Paola shares about the impact her mother had on her, what it was like to tell her mother’s story, the role of art in building compassion, and what it means to step into activism from a place of love, and the things you stand for, but also for what you boldly stand against. We spent time talking about moving past fear, sacrificing your privilege, and teaching your children to do the same in order to help others. These were things Paola powerfully demonstrated just two days after we recorded this interview, when she was arrested for civil disobedience at the Day Without a Woman strike in New York City. Paola is a strong force but also has a softness about her, which comes through as she talks about her relationship with her four year old son, Mateo, how time with him is part of her self-care, and how they spend what they call “Adventure Fridays” together. I heard about her solid partnership with fellow activist, entrepreneur and storyteller Michael Skolnik and about the E.P.I.C. snapshot moment Michael captured of Paola taking in all she created the day of the Women’s March in D.C. Looking back, I’m amazed that Paola was so present during her conversation with me given what she was in the midst of organizing just days later. I could tell she did so because she wanted me and those listening to know how important it is to take action based on our beliefs, that activism takes many shades and forms, and that with privilege comes tremendous responsibility to participate in our political system and stand for social justice. Paola’s challenge to us to “participate”…to get involved in a local issue and attend a town hall meeting during the next congressional recess. Help me Create the Finale!! – I would love to hear which are your favorite moments from the podcast and how what you are hearing and learning is impacting your E.P.I.C. life. I plan to highlight those moments from the different episodes, and your voices, in the season finale coming in early April. So do head over to mothersquest.com and use the voice message tool to tell me who you are, your favorite moment, and the impact it has had on you.